The Signal Transducer and Activator of Transcription (STAT) family of cytosolic proteins consists of 7 mammalian members, STAT1, STAT2, STAT3, STAT4, STAT5A, STAT5B and STAT6. STAT signaling is activated by cytokine or growth factor stimuli of extracellular receptors, which in turn switch on receptor associated kinases such as the Jak’s, which activate (phosphorylate) STAT proteins. Once phosphorylated the STATs dissociate from the receptor and form transcriptionally active homo-or hetero-STAT complexes. The active STAT complexes translocate to the nucleus where they bind to specific promotor sites and transcribe target genes such as c-Myc, VEGF, Bcl-xl and survivin. STAT3/5 proteins play a key role in regulating cell cycle, apoptosis, and proliferation, and their up-regulated activity is implicated in numerous diseases in oncology Aberrant STAT3 activity is widely recognized as a critical molecular abnormality and master regulator of tumour processes in many different malignancies, which makes STAT proteins attractive targets. For example, several studies report the high incidence of constitutive activation of STAT5 in acute myeloid leukemia (AML) and myeloproliferative diseases. And STAT3 is routinely found to be aberrantly active in the most aggressive forms of cancers, including triple negative and Herceptin-resistant ErbB2+ (Her2+) breast cancers, glioblastomas, and Group 3 medulloblastoma. Studies in breast cancer, melanoma, and lung cancer showed that STAT3 activation in various immune cells (e.g. cytotoxic T-cells, NK cells, MDSC, etc.) leads to tumor mediated immune-suppression and that inhibition of STAT3 will restore an anti-tumour immune response. Likewise, activation of STAT5 has been implicated in inhibiting regulatory T-cells, thus downregulating STAT5 is expected to take the breaks of an host mediated immune response against the tumor. Therefore we expect STAT inhibitors to exert a dual effect, direct killing of tumor cells as well as creating a favorable tumor microenvironment that enables the host to better eliminate tumor cells. Despite there now being a plethora of data in the literature validating STAT3 and STAT5 as high impact, high priority drug targets, the STATs remained a hard to crack molecular target as intracellular protein-protein interactions are notoriously difficult to inhibit with small molecules. Many compounds that were used in literature to probe the STAT pathways were later discovered to be either non-selective or hitting other upstream targets altogether. Using technologies developed in Prof Patrick Gunning’s lab at the University of Toronto Janpix has now been able to discover STAT3 and STAT5-selective inhibitors, as well as pan-STAT3/5 inhibitors. With these tools in hand, the hope is that these target can now be finally studied in much greater detail compared to what was possible up to now. Janpix has licensed a novel family of small molecule scaffolds from the Gunning lab at the University of Toronto. 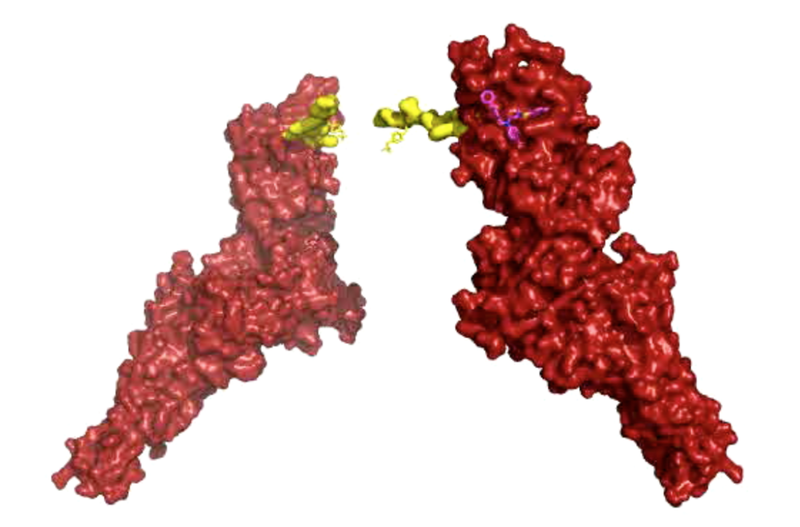 These inhibitors, targeting the SH2 domain, the most critical binding interface, demonstrate nanomolar binding to STAT, suppress STAT phosphorylation, inhibit downstream transcription targets and possesssuitable pharmacokinetic profiles. Janpix identified small molecules which inhibit STAT3 and STAT5 selectively as well as pan-STAT3/5 inhibitors. These agents have showed excellent efficacy in preclinical models of medulloblastoma, breast, leukemias as well as other STAT dependent cancers. Some of these compounds are now moving into preclinical development.